The Elephant Butte Reservoir is at its lowest level in four decades, which is not good news for El Paso residents who rely on it for water. Right now, El Paso's drier than a cow bone baking in the Chihuahuan Desert, and an important source of water for drinking and farming has shrunk into the sandy puddle you see below. 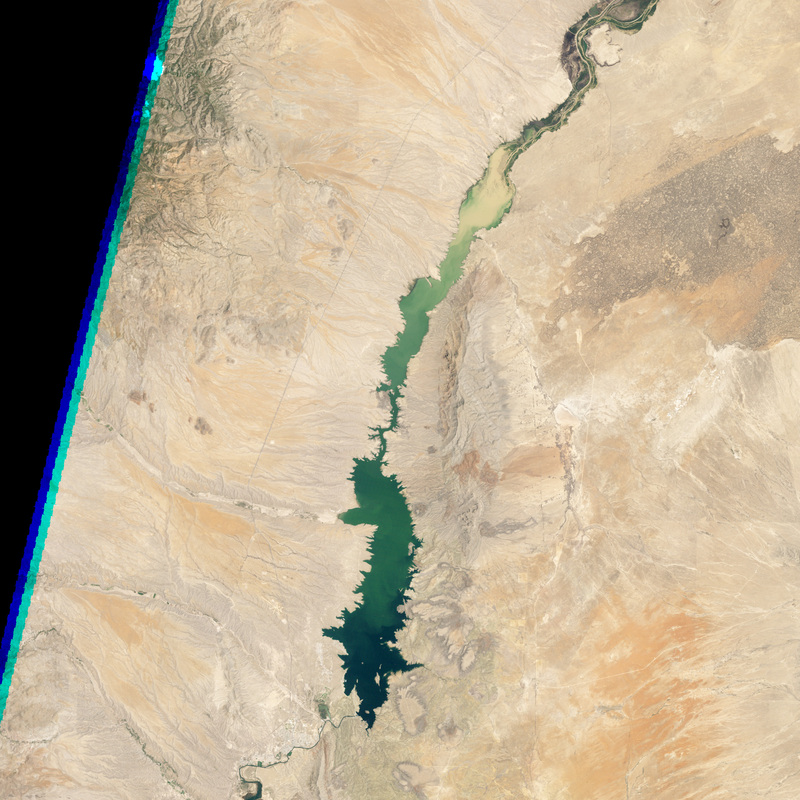 The vast desolation of the Elephant Butte Reservoir – named so not because of the presence of pachyderms, but due to a hump in the landscape vaguely shaped like a hulking animal – is a weighty concern for residents of El Paso, who get about half their water from it. During flush times in the late 1980s and '90s, the 'phant contained nearly 2.2 million acre-feet of agua and was the largest reservoir in New Mexico. Today, however, it holds only 3 percent of that amount (65,057 acre-feet) and is at its lowest level in four decades. 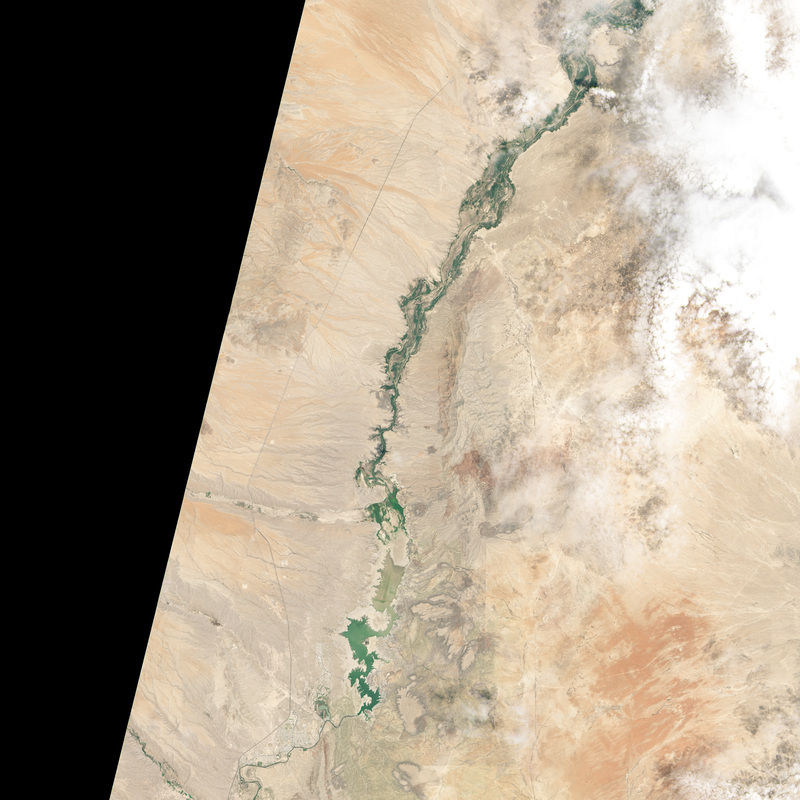 These images, produced by the Landsat satellite program, reveal the wasting effects of a rough drought. The winter and spring did not see much snow melting in the mountains, an important source of water for lower-lying communities, and stingy skies are holding onto much of the rain. Add 90 to 100 degree temperatures to the mix, and it's easy to see why New Mexico is currently the driest state in America, with about 80 percent of the land locked in the most threatening categories of drought. When I first started reporting – and was shocked that New Mexico’s two largest rivers were running dry – some of my sources were blasé about it. The 1950s, people would say: That was a bad drought. For seven years, the state received less than 12 inches of annual rainfall; for three of those years, less than nine inches. Crops failed, farmers went under – and in some places, underground aquifers still haven’t recovered. Things got better, for a while. During the 1980s and ’90s, rainfall was plentiful by desert standards. Most people set fears of drought aside, even as scientists began warning about the problems climate change would cause in the southwestern United States. Now in its third year of drought, New Mexico has surpassed the bad old days of the 1950s. The past 24 months are the driest on record – in the eight months since October 2012, Albuquerque has received less than an inch of rain – and the region is warmer now than it was 50 years ago. That means snow melts faster and earlier, soils are drier, agricultural crops and riparian plants alike need more water, and water evaporates more quickly from reservoirs.